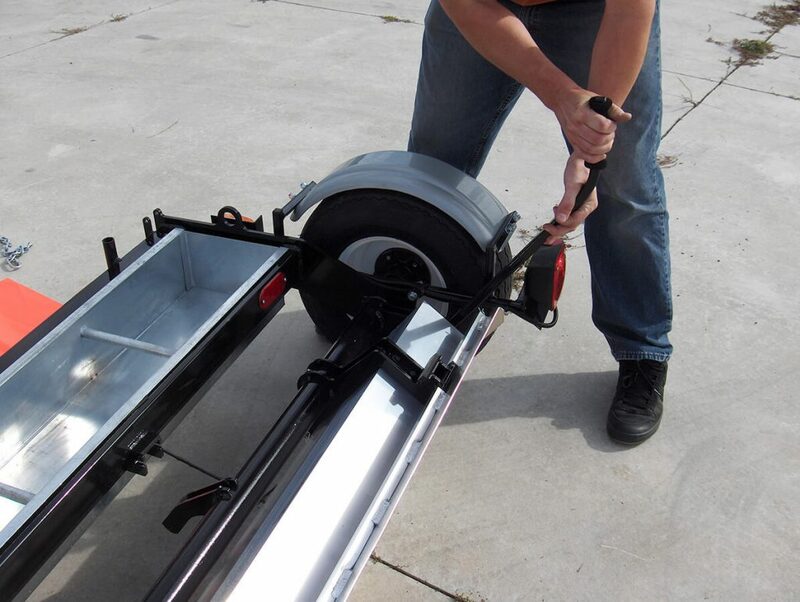 Clean up metal debris on roads and highways quickly and easily. 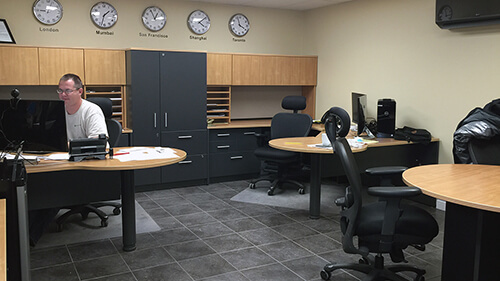 Almost always the problem of metal debris on roads and highways is underestimated when sweeping operations start because no one person or entity bears the burden of flat tires and no data exists on the numbers or costs of metal debris problems. 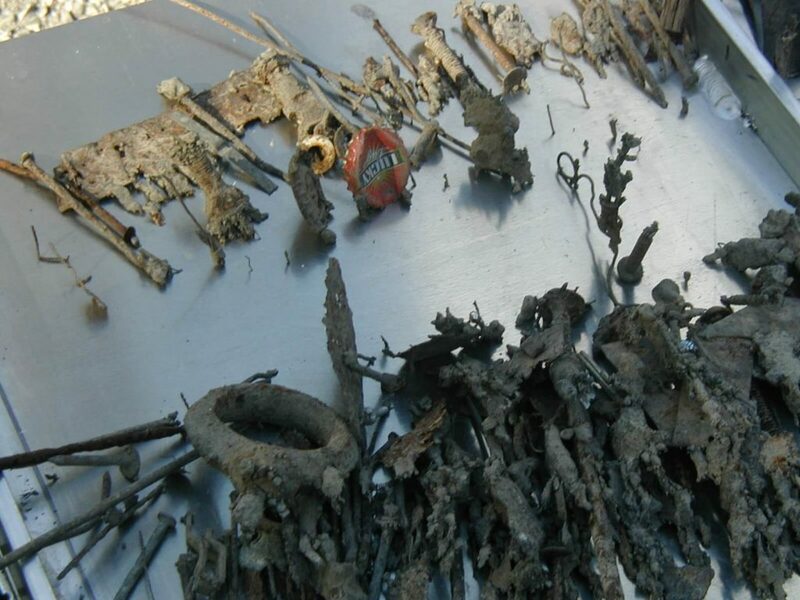 But metal debris problems always exists from parts falling off vehicles themselves, accident sites and from metal falling off the loads being carried by vehicles. Luckily much of this debris either lands on the side of the road as it falls off, or it somehow gets hit by a vehicle after landing on the road and ends up on the side of the road afterward. But there is always some debris that lands and stays on the road. 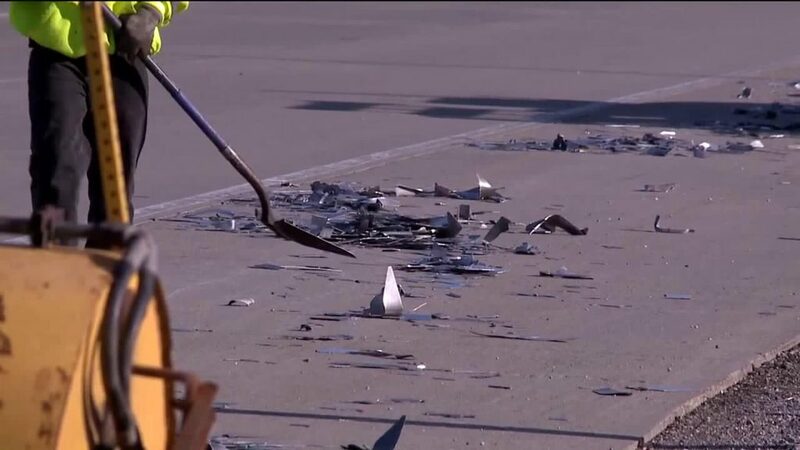 This debris can be hit by vehicles causing flat tires or accidents. Metal debris on roads and side of roads just keeps accumulating. While it’s fairly innocuous on the side the road, the side of the road becomes quite a risky place on which to pull your vehicle over. 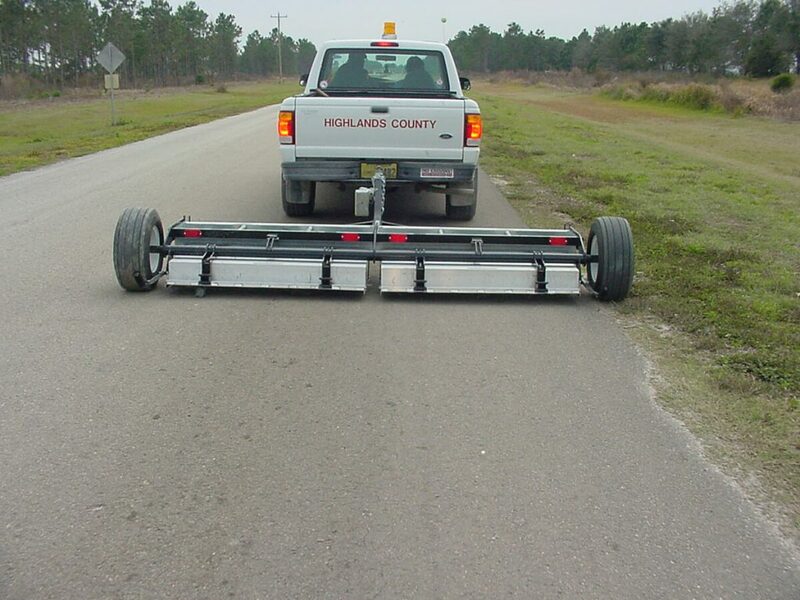 Luckily cleaning debris from roads and sides of roads is quite easy to do with a magnetic sweeper. 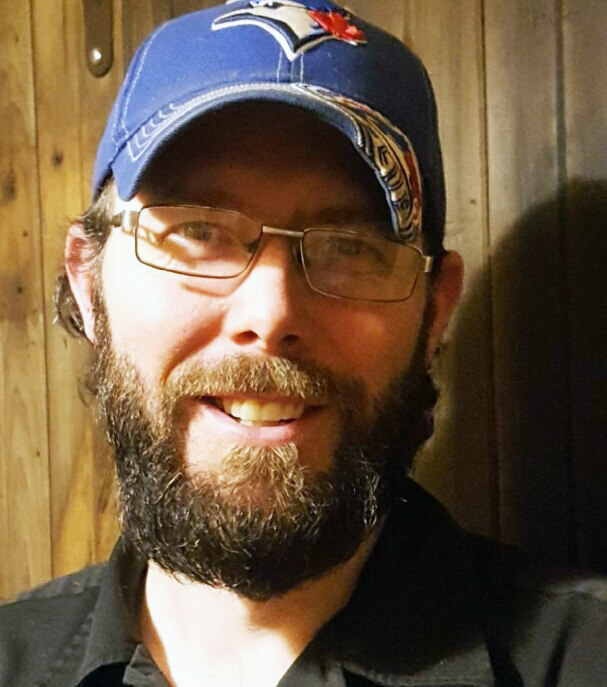 Take a bite out of metal debris hazards! For large multi-lane divided highways with paved shoulders there is usually a periodic cleanup of road sides with major debris being picked up by hand by personnel deployed in a pickup truck. 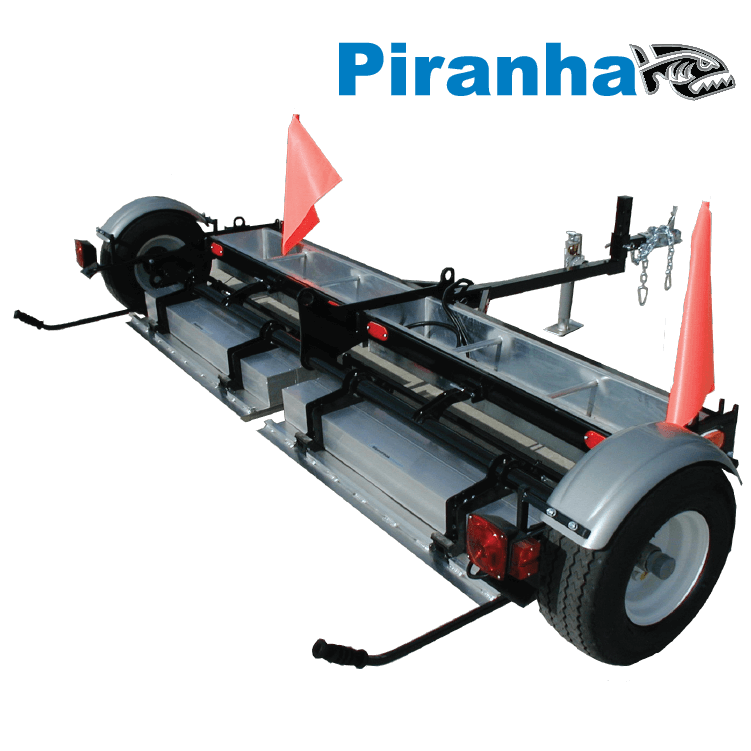 In this case the pickup truck can be equipped with a tow behind Piranha magnetic sweeper as the personnel and truck pick up the larger debris. 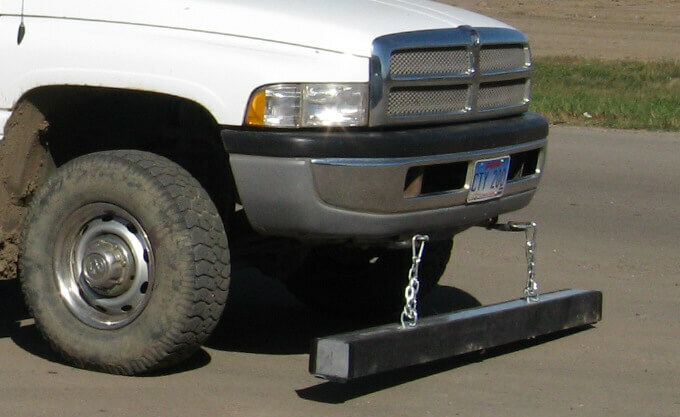 If pickup trucks are routinely patrolling the road sides they can also be outfitted with a ISO hanging magnetic bar. Roads with gravel shoulders and adjacent grass lined ditches are seasonally graded with a road grader and / or the grass is cut with a tractor and side mower which also can be outfitted with a Wrasse hanging magnetic bar. In either case the grader or tractor travels down the gravel shoulder of the road at a relatively slow speed providing the perfect opportunity to sweep for harmful metal debris by attaching a hanging magnetic sweeper to the tractor and grader. 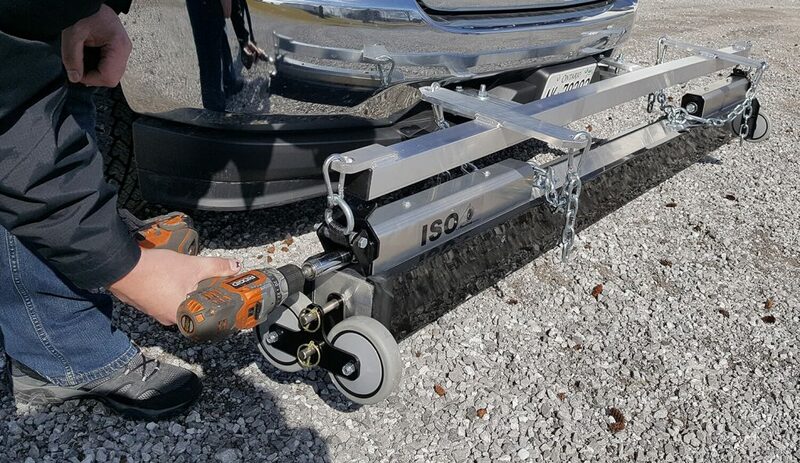 Similarly, when line painting is done, it is a perfect opportunity to sweep for metal debris on the roads themselves by attaching a hanging magnetic sweeper from the trucks or using the tow behind piranha magnetic sweeper. What do the staff of Bluestreak have to say on the subject of Road & Highway Maintenance magnets? If you're wanting a hanging sweeper for roadwork choose the ISO when you're sweeping asphalt/concrete. Choose the Wrasse if you're sweeping gravel road sides because the wheels on the ISO are not intended for use on gravel/dirt. With Unique Slingjaw Clean Off System. The Piranha magnetic sweeper is a tow behind model designed for fast, aggressive cleaning of road and highway metal debris. Unique Slingjaw clean off system dumps debris into on board debris trays and holds it for later disposal. 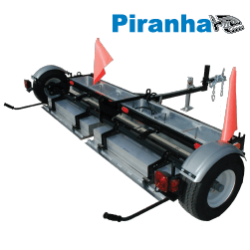 The Piranha was designed for cleaning large areas like highways and therefore was given some special features. First of all, lots of power, to allow greater speed while still picking up debris. 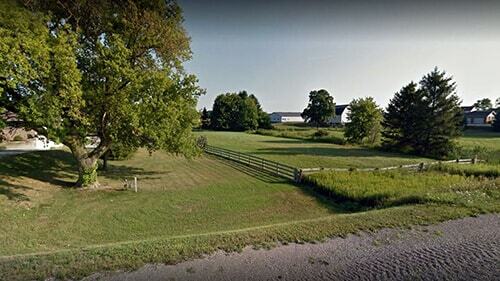 It was given just one fixed sweeping height since it was designed to travel on flat surfaces. It was also given on board debris bins since when cleaning large areas, you could be a long way from home when you need to clean off the magnet. Available in a six foot or eight foot sweeping width. Fast, Aggressive Cleaning of Roadways! Easily attach to road cleaning equipment! 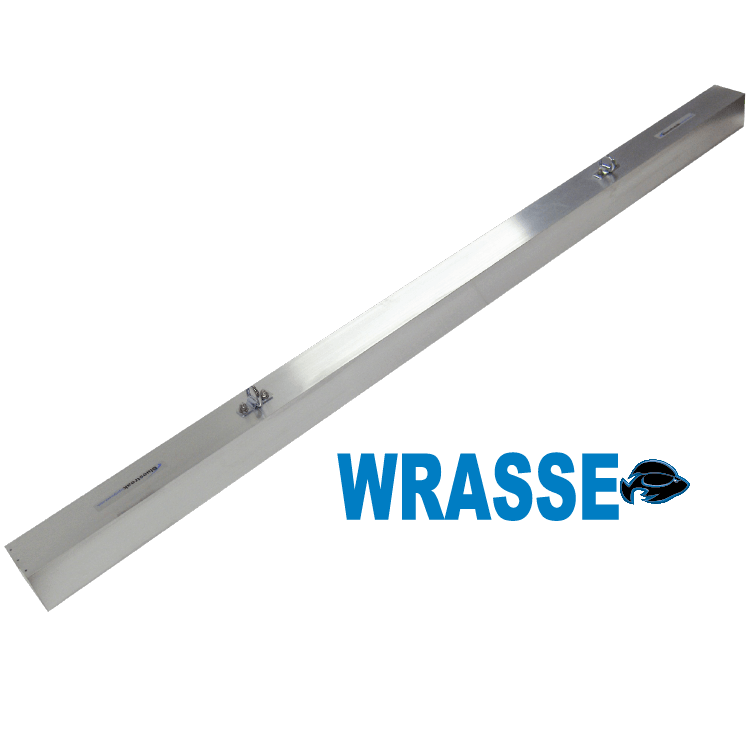 Easily attach the Wrasse magnetic bar to road cleaning equipment and pick up ferrous metal debris on roads and sides of roads quickly and easily. 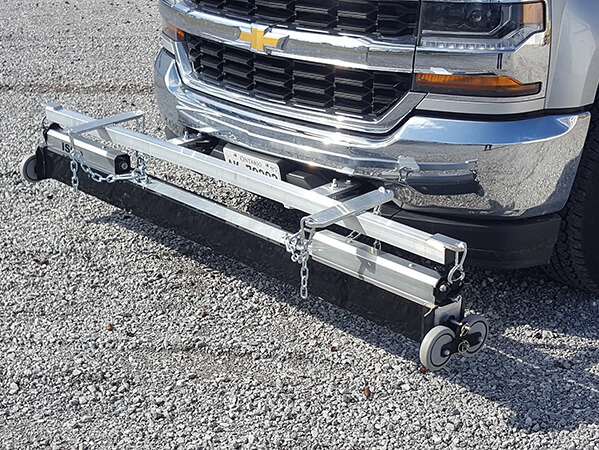 The Wrasse can hang from any piece of equipment used in road maintenance such as pickup trucks, line painting trucks, road side shoulder graders, road side grass cutting tractors and sweepers. The Wrasse functions well as long as the ground is fairly even so that the magnet doesn’t hit the ground all the time and the Wrasse allows the equipment operators to clean while they do their normal tasks. While competing hanging magnetic bars are always in the 2″ x 5″ size range, Bluestreak offers two bigger more powerful sizes of the Wrasse in the 3″x 3″ and 4.5″ x 4.5″ to allow even higher hanging heights if necessary and better performance. Easily attaches to your equipment. Maximum Lifting Height 11" 4 3/4" 6" 8 1/2"
Sweeper Height Adjustment No Adjustment. 3" clearance with sweepers down, 7" clearance when traveling with sweepers up and not in use. 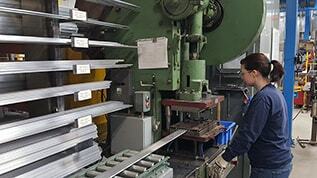 Change suspension height by rising or lowering the chains to a maximum height of 3". Change suspension height by rising or lowering the chains to a maximum height of 4". 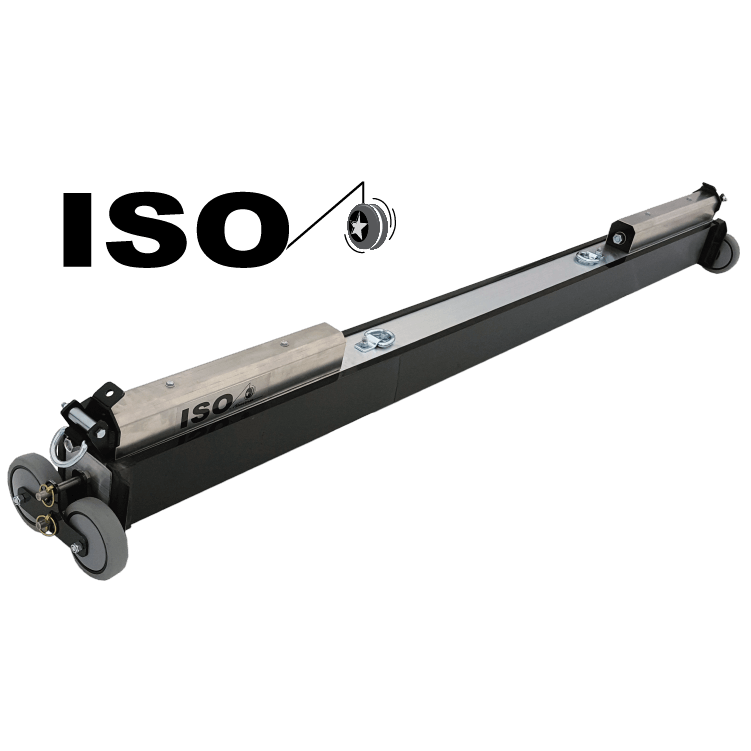 Change suspension height by rising or lowering the chains to a maximum height of 5". Clean Off Method Slingjaw clean off system. Magnetic housing rotates up side down, debris falls into debris holding trays. Wipe clean with glove or rag. Wipe clean with glove or rag. Wipe clean with glove or rag. Also available with a Quick Clean Off Sleeve accessory.